The tale of Endymion and Selene is a story from Greek mythology that became a favourite of artists from the Renaissance period onwards; and the imagery of the Moon goddesses visiting the eternal sleeping mortal was often repeated. 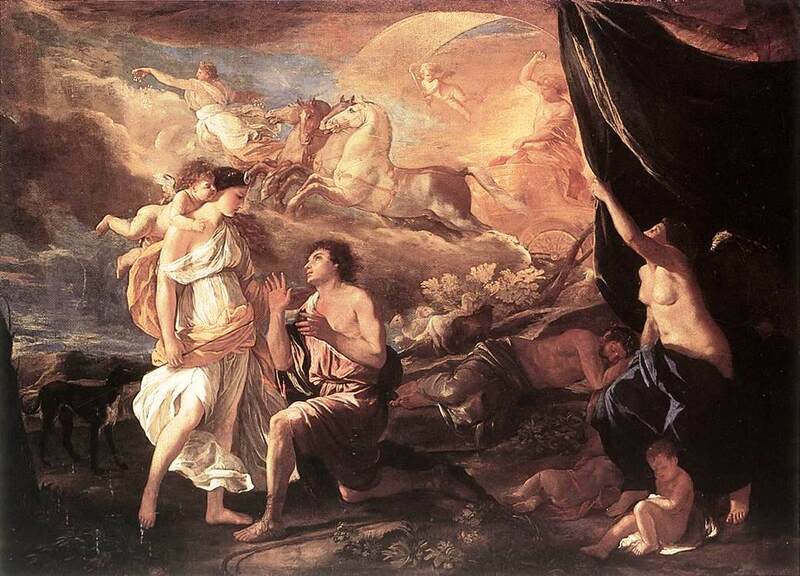 The story of Endymion in Greek mythology though is a confusing one, with Endymion called a king, a hunter and a shepherd, and located in both Elis and Caria. When spoken of in Elis, Endymion is regarded as one of the kingdom’s earliest rulers, being a son of Aethilius and Calyce, or Zeus and Calyce; Aethilius being a grandson of Deucalion, and Calyce a daughter of Aeolus. Some tell of how Aethilius was the first king of Elis, having brought colonists from Thessaly, and some tell of Endymion himself being the founder of Elis. Endymion was said to have had (at least) three sons, Epeus, Paeon and Aetolos, and a daughter, Eurycyda. The mother of the children of Endymion is various called Asterodia, Chromia, Hyperippe or Iphianassa, or she is an unnamed Naiad nymph. The children of Endymion come to the fore in the story of the succession to the throne of Elis. Zeus was said to have told King Endymion about his forthcoming death, and so to decide who should succeed him as king, Endymion arranged for a running race at Olympia. This race was won by Epeus, and so it was this son who was named as successor to King Endymion. The people of Elis would later claim that King Endymion was buried at the race’s start line at Olympia. Having lost the race, Paeon would depart from Elis, and founded the region of Paionia, named for himself. It was said that Epeus himself had to flee his kingdom, after the invasion of Pelops, at which point Aetolos became king, but Aetolos himself had to go into exile when he accidentally killed Apis, the son of Salmoneus, when Aetolos ran over him in his chariot. Aetolus would create a new kingdom between the Corinthian Gulf and the River Achelous, and gave the land a new name, Aetolia. The kingdom of Elis would then pass to the grandson of Endymion, Eleuis born to Eurycyda by the god Poseidon. The more famous story of Endymion is set in Caria, with particular association with Mount Latmos. To reconcile the myths, some tell of Endymion departing from Elis, having left the throne to Epeus, and travelled to Caria to become a shepherd. Endymion would live in a cave upon Mount Latmos, and there he would tend to his flocks. Whilst looking after his sheep at time, Endymion had plenty of time to observe the movements of the moon, and made note of them. Just as Endymion was interested in the moon, so Selene, the Greek goddess of the moon, was interested in the man who was observing her. 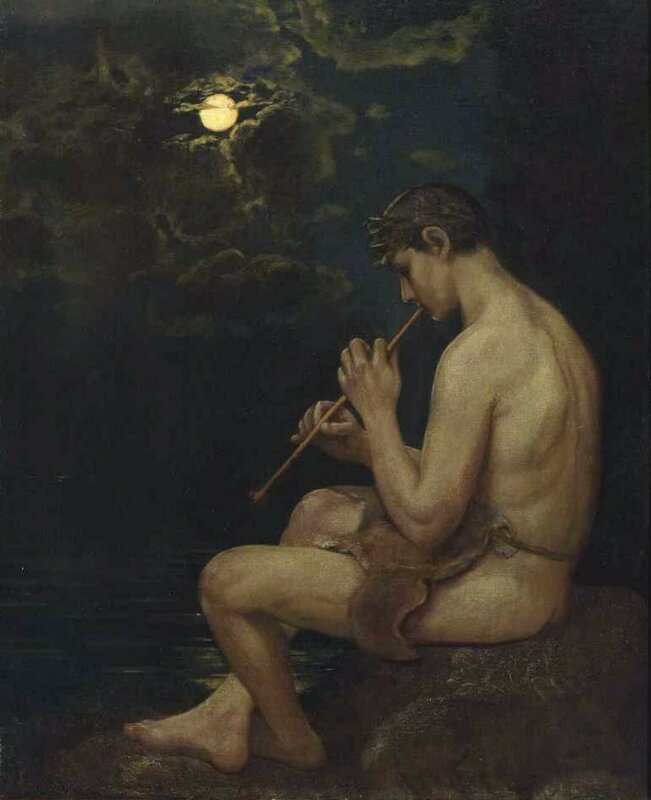 Endymion was considered to be one of the most beautiful of all mortals, a rival in looks to Ganymede or Narcissus, and Selene quickly fell in love with the shepherd, and so Selene would visit Endymion each night in his cave upon Mount Latmos. Selene was of course ageless, whilst Endymion was mortal, and so Selene went to Zeus and asked the god to give Endymion eternal youth, so that Selene and Endymion could be together forever. Zeus did not make Endymion immortal in the normal sense though, and instead, enlisting the help of Hypnos, Endymion was put into an eternal sleep where he would not age. Endymion would thus sleep with his eyes upon so that he could forever after look upon his lover, as Selene continued to visit him each night. There are other reasons given as to why Endymion was put into an eternal sleep; one reason being Zeus himself offered Endymion anything he desired, and it was Endymion who chose eternal, ageless sleep for himself. Or perhaps it was a punishment after Endymion made advances to Hera, in a similar way to the indiscretions of Ixion. 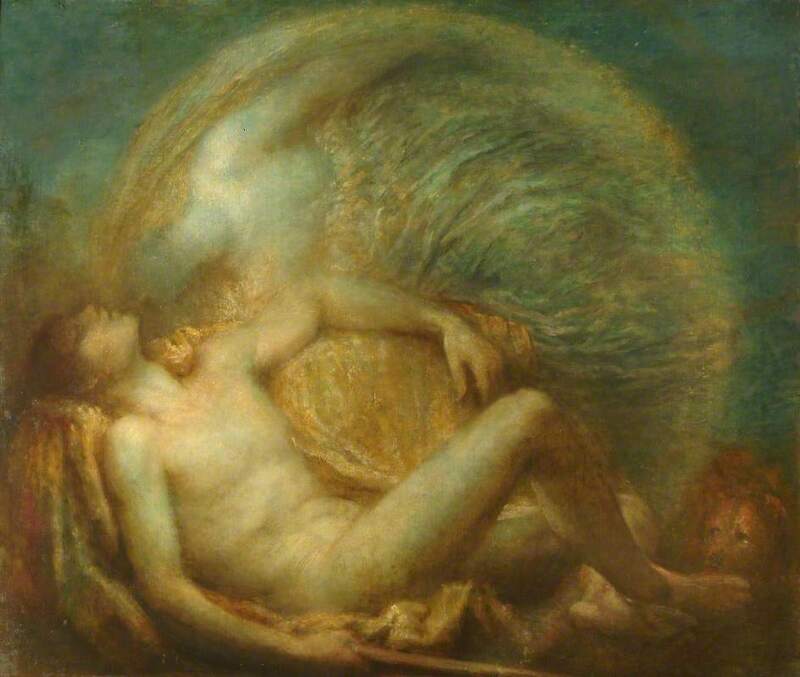 Or perhaps the lover of Endymion was not Selene, but the god Hypnos. The relationship between Endymion and Selene brought forth 50 daughters who were collectively known as the Menai. The Menai were lunar goddesses, each representing one lunar month, and as there were 50 months between each Olympic Games, the link back to Endymion and Olympia was complete.